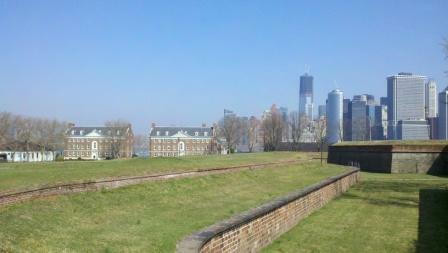 Another glorious day in the New York Harbor! If you were a bird flying up the Atlantic coast on your annual spring migration, what would you do when you reached New York City? Would you fly to the west (up the Hudson River), to the east (up the East River), keep going north at a higher altitude over the high-rises of Manhattan, or just fly north and navigate through the avenues and maze of buildings? What routes do migrants actually take? These are some of the questions we are looking to answer as part of a collaborative investigation between New York City Audubon and Fordham University on how birds and bats navigate urban landscapes. Today’s post is an additional aspect of the rooftop microphone project I talked about on March 15. Looking at the map of New York City, you can see Governors Island sitting about ½ mile from the southern tip of Manhattan, which provides a great vantage point to use to answer our questions. Not only is the island well positioned, it also has the features we need for positioning a small-scale avian radar unit: level ground, slightly elevated above the surrounding area; and no large, nearby buildings obstructing the horizon. The entire unit, including the trailer, weighs 3,800 pounds. Thanks to generous support from the Leon Levy Foundation and on-the-ground help from the National Park Service and the Harbor School, we hope to have the unit up and running in time to catch spring migration. 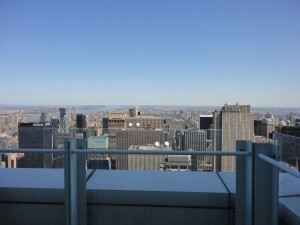 I couldn’t have picked a better day than yesterday to visit the rooftops of Manhattan! One goal of New York City Audubon’s Project Safe Flight program is to figure out how migratory birds cope with big cities along their migratory route. When spring migrants head up the Atlantic Flyway and encounter New York City, what do they do? Do they fly on one side of Manhattan or the other? Do they fly higher or lower than usual? Do they fly up the avenues? We have our theories, and now we are testing them. Research has already been done–including work by NYC Audubon Board member Andrew Farnsworth–on night flight calls of migratory land birds. The technology exists to record and analyze the calls, so we can find out who (what species) is calling. The challenge today is: Where can we install the microphones? So I called Helena Durst, a vice president of the Durst Organization (one of the city’s most environmentally conscientious developers) and an enthusiastic supporter of NYC Audubon’s Lights Out New York. Thanks to Ms. Durst, I got to spend the morning with a member of her staff, Lauren Leppla, touring five fabulous rooftops. 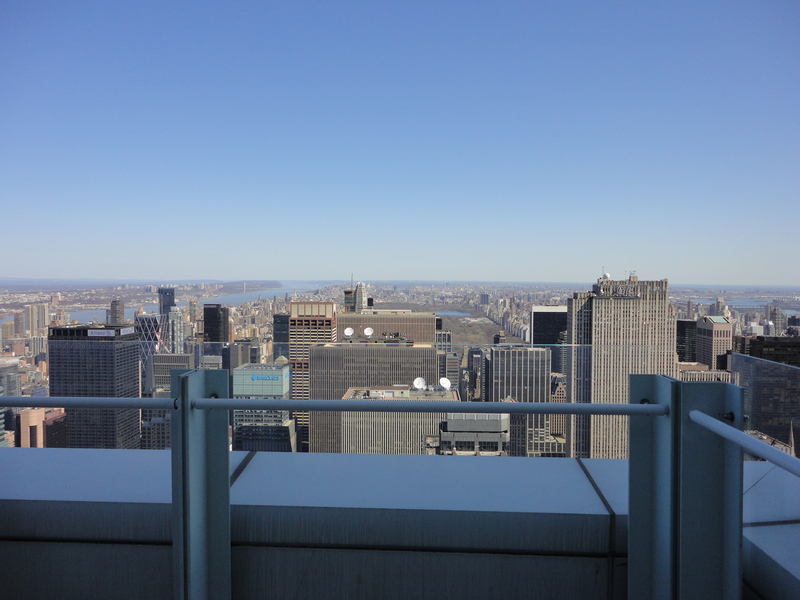 From the 945-foot-tall One Bryant Park to a 286-foot-tall building at 733 Third Avenue…. What a view! Each building engineer who took us to the roof was gracious and keen on helping us with the project. Some of questions we are looking to answer: Are birds flying closer to rivers, or are they flying over the center of Manhattan? Are night flight calls correlated with collisions? Are more birds flying over higher or lower buildings? Darker or brightly lit areas? Green spaces or developed land? Lots of questions to answer. We’ll also be teaming up with Fordham University professor Alan Clark in using radar to visualize migration. But on this glorious day in March, I just got to see the city from a bird’s eye view.